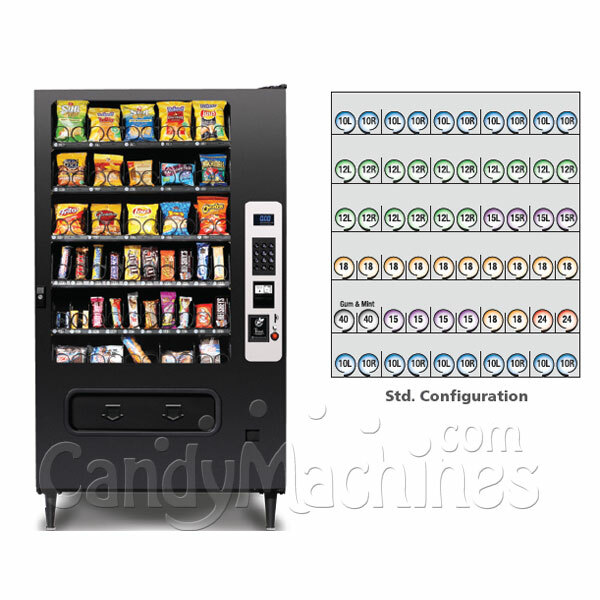 Our Glass Front Snack Vending Machine 40 Selection is the perfect solution for any waiting area, lobby, or break room, or vending route operator. 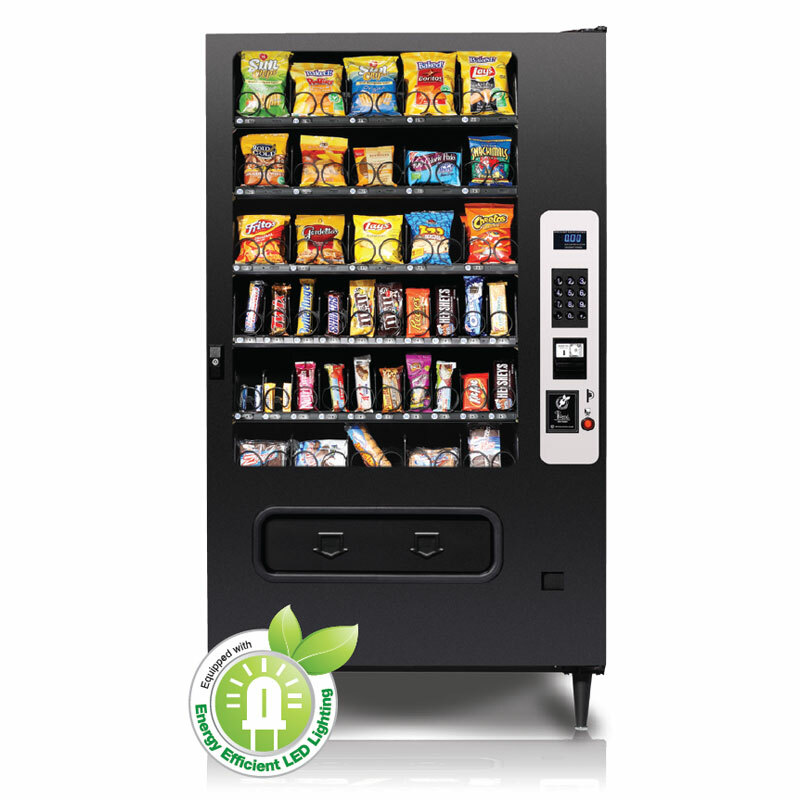 Our 40 selection Snack Vending Machine can hold 40 different snacks giving you the option to offer healthy alternatives to your customers or employees. 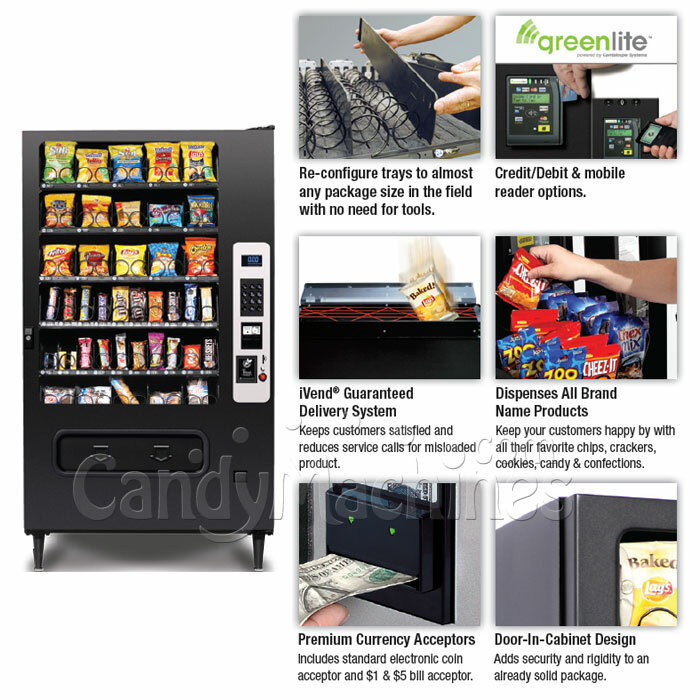 Turn the 40 selection Snack Vending Machine into a healthy vending machine by choosing what you vend with the ultimate flexibility. This snack machine is energy efficient and eco-friendly and setup is easy. Just fill it up, plug it in, set prices, and start making money! Built in the USA, the SEL40 comes equipped with 6 flex trays featuring adjustable height and spacing, giving you the most freedom possible in customizing your product selection. Equipped with the latest in electronic controls, premium coin changer and bill acceptor as well as our money back iVend sensing technology this vendor is a great choice for serving your locations. Free standard shipping - does not include special handling (liftgate if needed or inside delivery). Please call us for special handling options. Important Shipping Details: This item is a large freight item. This item generally shipped on a pallet via freight trucking company and considered dock-to-dock shipping. If your delivery location has limited-access, is a residential address or requires a lift gate, additional charges may be required. You will be notified of any additional fees prior to shipment.